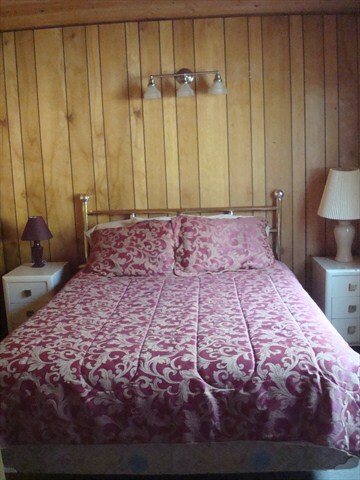 This cabin has two bedrooms....each with a queen sized bed as well as a living room, full kitchen and large bathroom. 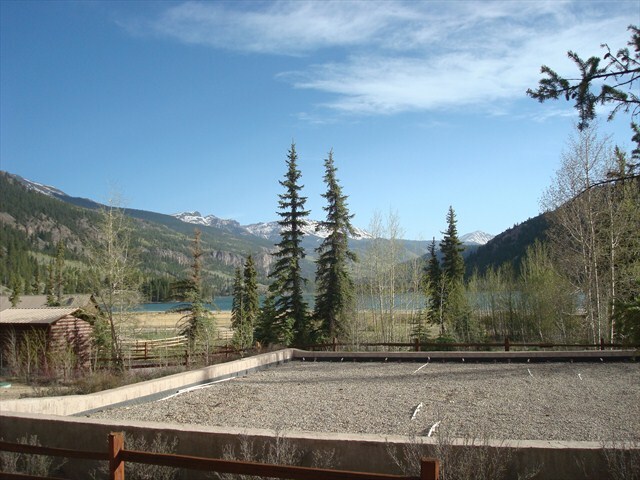 It has a wonderful deck to enjoy and relax on on those great summer evenings. 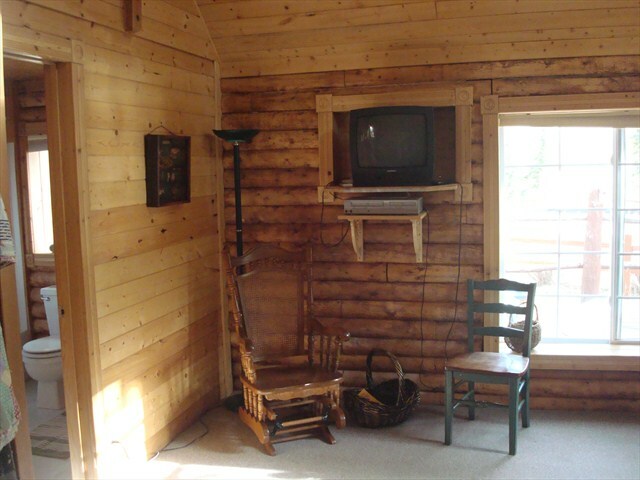 This cabin sits on the Alpine Loop so you can ride directly from the cabin on your 4-wheelers.....no need to trailer. 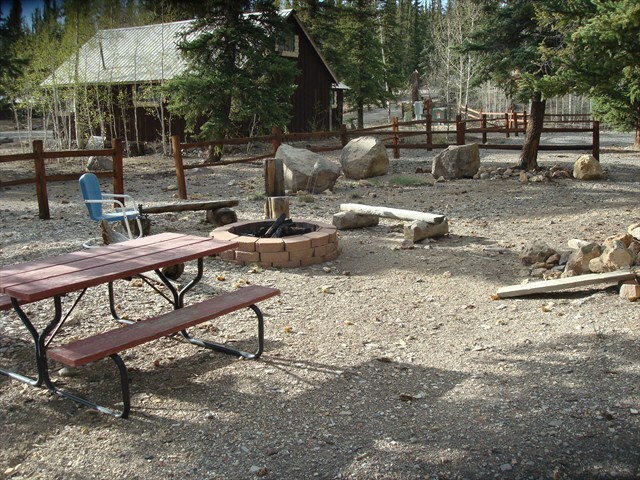 There is also a gas grill and fire pit to enjoy your evenings after a full day in the mountains. 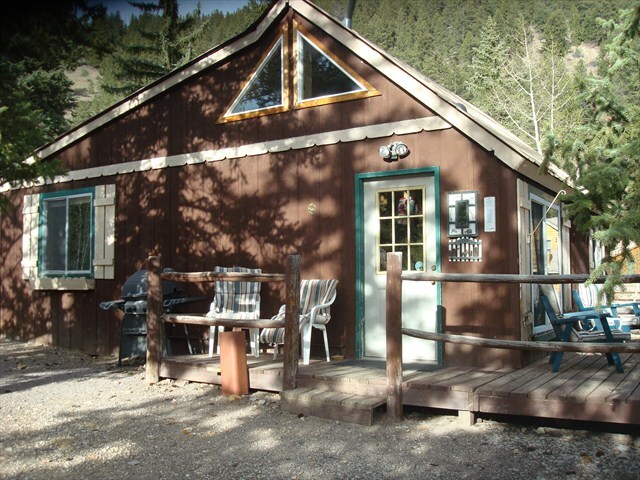 This cabin does sit near the water treatment plant but it is surrounded by landscaping and it does give you some privacy from the road. 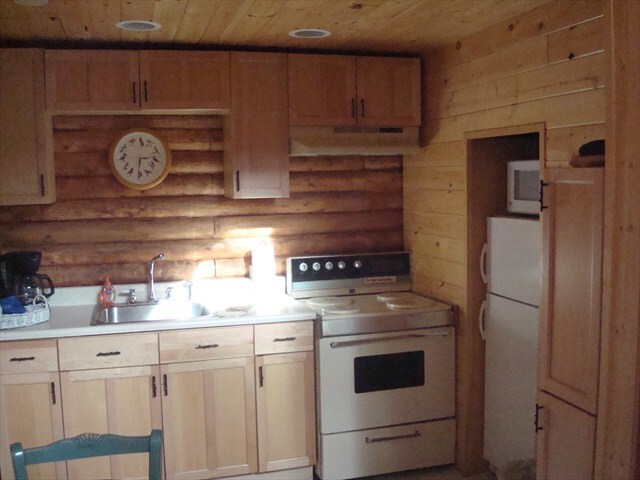 There is plenty of parking behind the cabin for your trailers and toys. 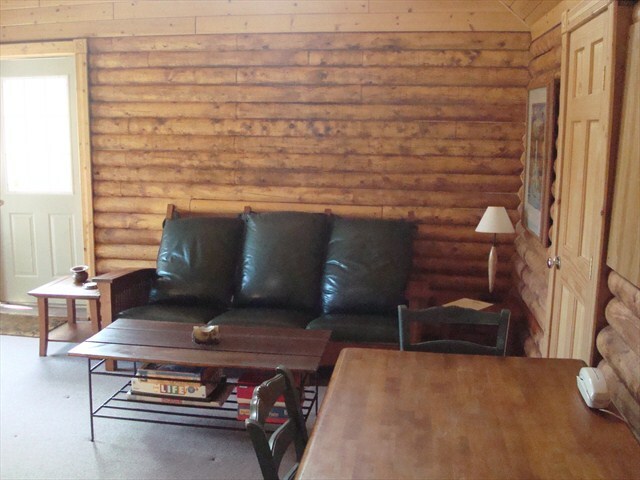 This cabin is part of a group of small cabins that were built in the 1940's so bring your family and friends! 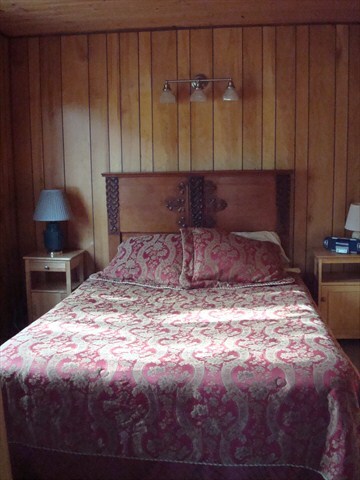 If you need more space we have many other cabins in the area....come and make memories with us!